Back in January I reviewed this wine (click here for the original review) and it was completely out of character and just not good, so it was concluded by myself and Beronia that I had received a faulty bottle. So here is the re-review! 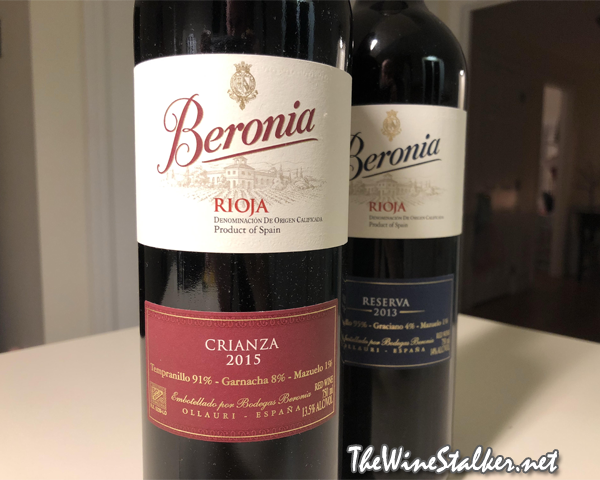 The 2015 Rioja Crianza is 88% Tempranillo, 10% Garnacha, and 2% Mazuelo, so there’s some percentage differences than the 2014 vintage that I reviewed in December of 2017. After being harvested the grapes undergo a few days of cold maceration, and then fermented at low temperature with periodic pumping. It sees twelve months of aging in barrels of American oak staves and French oak tops, then three months of bottle aging. it has a 13.5% ABV. The color of the wine is cherry red. There’s an immediate difference on the nose than the last bottle. Instead of dankness and Fruity Pebbles there’s cracked black pepper, cherries, vanilla, and black licorice. On the palate it’s lighter bodied with high acidity, soft and chalky tannin, and loud boozy ethanol. There’s flavors of cherries, strawberries, brown spices, and earth. Then it finishes with strawberries and vanilla. Much, much better. This is exactly what you want from a $15 Rioja. Delicious and worth the price. Next Article It’s Amateur Hour – do you speak the lingo?